Robert Phillips received his B.A. from the University of California, Berkeley, and his M.A., M.Phil., and Ph.D. from Columbia University. He joined the Economics Department in 1985 and chaired the department from 2006 to 2010. His research focuses on econometric methods. 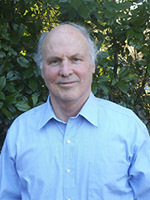 He has made contributions to forecasting, partially adaptive estimation theory, computational methods, mixtures and switching regressions estimation, and the estimation of panel data regression models. His publications appear in the International Economic Review, Journal of Econometrics, Journal of Business & Economic Statistics, Journal of Economic Dynamics and Control, and many other economics and statistics journals.